If a grocer isn’t willing to go big in e-commerce, it might as well get out, according to consultants McKinsey. 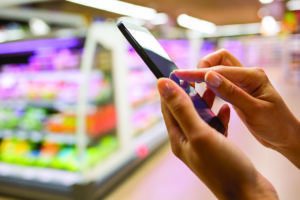 In a study, Reviving grocery retail: six imperatives, McKinsey argues that “much of the $5.7 trillion global grocery industry is in trouble. Although it has grown at about 4.5 per cent annually over the past decade, that growth has been highly uneven—and has masked deeper problems. For grocers in developed markets, both growth and profitability have been on a downward trajectory due to higher costs, falling productivity, and race-to-the-bottom pricing. One result: a massive decline in publicly listed grocers’ economic value. The report uses last-mile delivery as an example, saying: “In online grocery, delivery costs are the biggest hurdle to profitability. It’s a hurdle that can be overcome only with major investments in advanced analytics, warehouse relocation, and automation. If a grocer isn’t willing to go big in e-commerce, it might as well get out. “Low ‘drop density’ is the main reason for high delivery costs: a typical delivery-van driver in the United Kingdom, for instance, makes fewer than five deliveries per hour on average. Potential solutions for increasing drop density include a milkman model, whereby retailers make deliveries to communities only at specified times each week. A small Dutch grocer, Picnic, has achieved a drop density of 14 deliveries per hour with this model.